“The only thing that you absolutely have to know is the location of the library” – This famous quote from Albert Einstein gives a clear reflection of the importance of libraries in our life. The following are 9 magnificent libraries around the world. 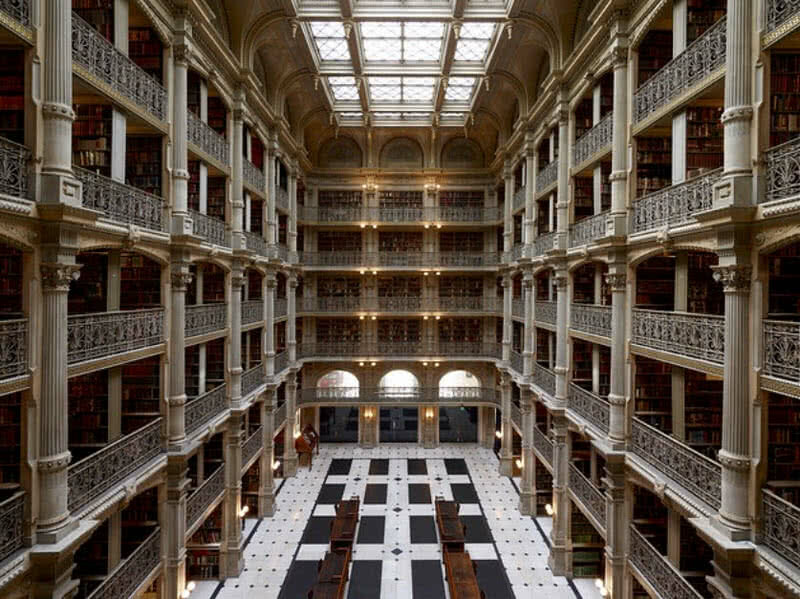 The George Peabody Library is a magnificent library in Baltimore city of Maryland State. Formerly known as the library of Peabody institute. In 1857 the Philanthropist George Peabody dedicated this institute library to the citizens of Baltimore City. In the following year the George Peabody Library building was officially opened for the public. Today the library has a collection of more than 300000 items in total. The titles cover various subjects including architecture, geography, exploration, American literature, British and American history and British art. A large percentage of these items are from 18th and 20th centuries. The George Peabody Library is also known for its striking architectural design. The building was designed by Baltimore architect Edmund G Lind. The ornamental cast-iron balconies, 60 foot ceilings and gold-scalloped columns of this library are absolutely breathtaking. The New York Public library is the fourth largest library in the world. The library holds a collection of 53 million items. The collection includes 60000 manuscripts, 800000 digital images, 431000 maps and 16000 atlases. The stacks of this library contains 125 miles long bookshelves. The New York Public library also holds the original copy of Christopher Columbus’s letter on the first voyager, the letter that announcing the great explorer’s discovery of the new world. The letter was written back in 1493. 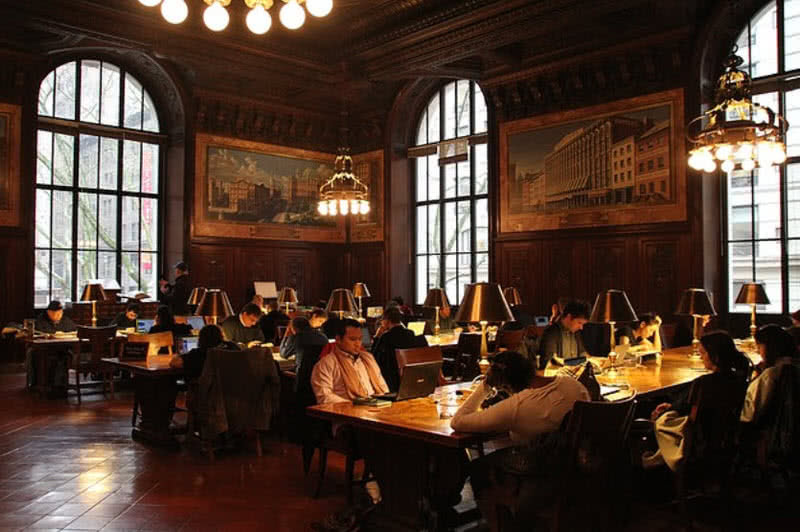 Founded back in 1911 the majestic New York Public library is also the largest marble building in the U.S. More than 530000 cubic feet of marble were used for the construction of this monumental building. The grand entrance of the library features two impressive lion statues and entitles ‘patience and fortitude’. There are also six majestic statues in the museum, sculpted by American sculptor Paul Wayland Bartlett. The sculptures represent philosophy, poetry, drama, history, religion and romance. The main lobby known ‘Astro Hall’ contains beautiful ceiling and decorative lights. The reading rooms of the library with large arched windows are also impressive. The Stockholm public library is one of the notable landmarks of Stockholm city. It was founded in 1928. The amazing library was designed by Swedish architect Erik Gunnar Asplund. 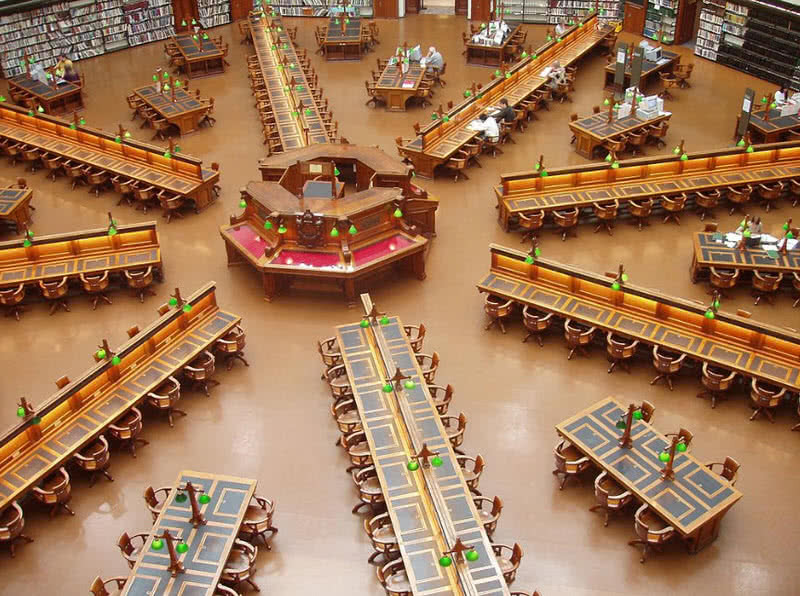 The library holds a collection of 4400000 items. The collection includes 2 million books and 2.4 million audio tapes and books. 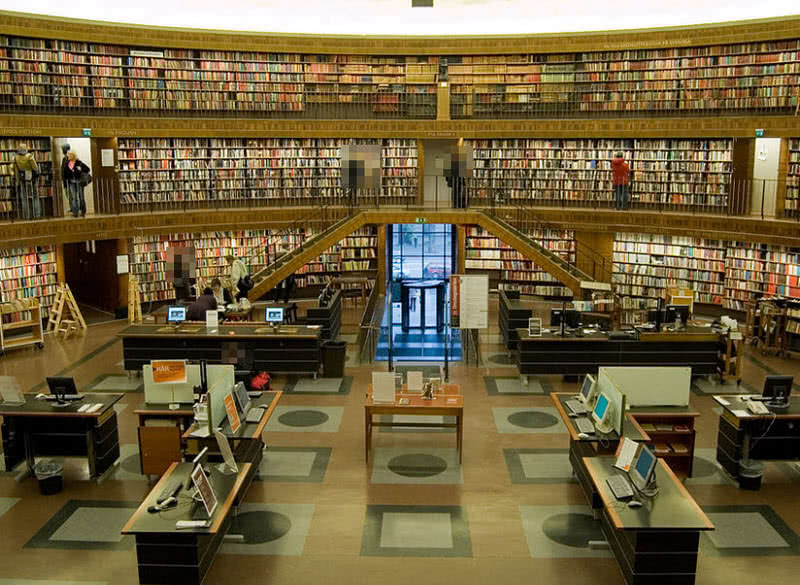 The collection of the Stockholm public library also comprise 100 different languages. The Stockholm public library features free access to the stacks for visitors, the first library in Sweden to offer such design. The interior the library building also contain lots of windows to receive the natural lights. 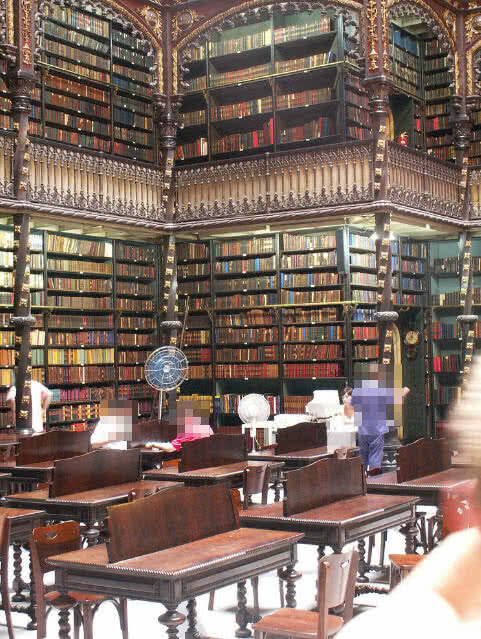 The Real Gabinete Portuguese de Leitura library in the downtown of Rio de Janeiro is also known as Royal Portuguese Reading room in English. The library has the second largest collection of Portuguese literary in the world. The library was established in 1837 by Portuguese immigrants to develop the popularity of Portuguese literature in the new colony. The Portuguese Reading Room houses 350000 works from 16th, 17th and 18th centuries. Many of these works offer invaluable information about the culture and history of Portugal. The library also has a small collection of sculptures, ancient coins and paintings. Apart from the rich collection the Portuguese Reading room is notable for its incredible architectural beauty. The Portuguese late Gothic style was used for the construction of this library. You can see four spectacular sculptures at the entrance of the library. These sculptures portray four great Portuguese including Vasco da Gama, Pedro Alvares Cabral, Luis de Camoes and Infante Henry. The wooden bookshelves and ornamental doors also give a unique look to the library. The reading room of the library also contains a beautiful skylight structure made of iron and an attractive chandelier. The State Library of Victoria is a cultural icon of Victoria State. The library holds 2.2 million items in total. More importantly there are many significant items such as journals and paintings that explain about the history and culture of Victoria State. The collection of this library also includes hundreds of thousands of audio files, maps, pictures, newspapers and manuscript. The popular Austrian explorer John Batman’s journal and Austrian bushranger Ned Kelly’s armor are the most important historical documents within the collection of the State Library of Victoria. The library also offers fabulous artworks and exhibitions for the visitors. The galleries of the State Library of Victoria showcase important artifacts, pictures, manuscripts and maps. These priceless items reflect the story of Victoria State in different stages in the history. In addition to the vast collection the State Library of Victoria known for its spectacular architectural design. The library contains 19th century galleries, an impressive hall, domed reading room, seminar rooms and a conference center. Domed reading room or La Trobe reading room is the most important attraction of the library. The room has an octagonal design and can seat 600 readers at a time. The library of Congress in Washington D.C is the largest library in the world, in both shelf space and number of books. The library houses 158million items in 838 miles of bookshelves. The huge collection of the library of Congress includes 33 million books, 13.5 million photographs, 98 million manuscripts, 6.7 million pieces of music, 5.5 million maps and 3.5 million recordings. The collection also increases at the rate of 2 million per year. The library of Congress was founded back in 1800, a part of the new Capitol building. In 1814 the British troop destroyed the library and many of its collections. The following year the former U.S President Thomas Jefferson donated US$24000 and 6487 books for restoring the library. Today the library adds more than 11000 new items to its collection on a single day. The collection contains books in more than 470 languages. The rare book collection of the library includes more than 700000 volumes, largest in North America. The library also holds papers from 23 former U.S Presidents in the manuscript division. 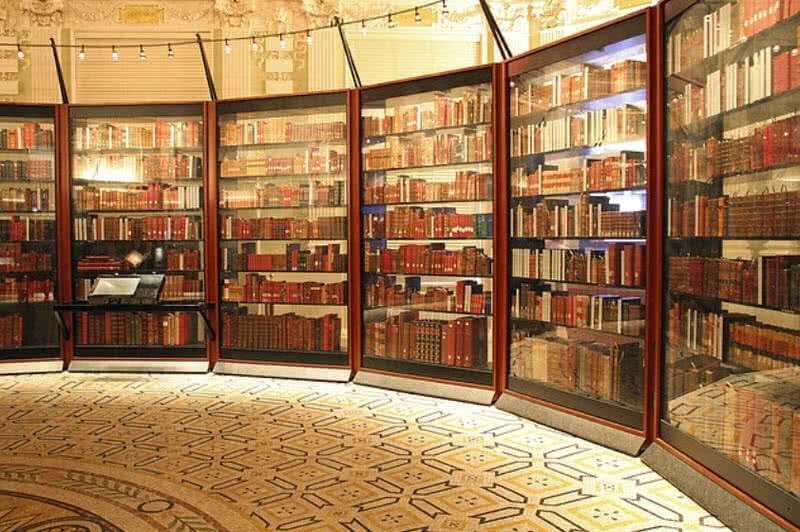 Only the Congress members and the staffs are allowed to access the collection of the library of Congress. But you can check the digital collections if the library on the official website. In addition to the largest collection of books the library of Congress is also known for its stunning cultural architectural design. With a collection of more than 6 million printed volumes the Trinity College library Dublin is the largest library in Ireland. The library has copyright privilege to receive the materials published in the country free of charge. Today the library has a large collection of journals, manuscripts, audio files, maps and electronic books. The book of Kells and book of Durrow are the most important treasures within the collection of the Trinity College library Dublin. The book of Kells is considered as one of the most valuable manuscripts ever produced. The illuminated manuscript is dates back to the 9th century. The book of Durrow is the oldest extant illuminated Gospel book. It was created in 7th century in Durrow Abbey. 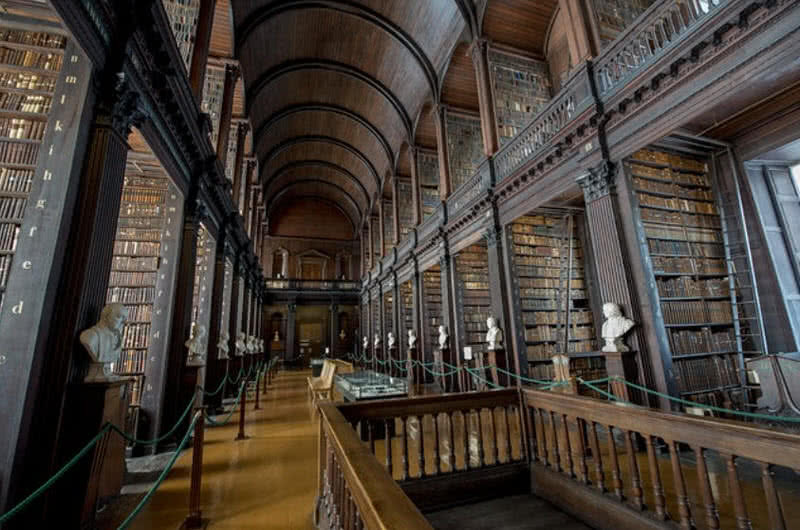 The long room, the 213 feet long 42 feet wide main chamber is the main attraction of Trinity College Library Dublin. The room is lined with a series of marble busts of famous writers and philosophers. Today the long room houses more than 200000 old books of the library. It is also one of most population tourist attractions in Ireland. The Admont Abbey library is the largest monastic library in the world. The library is a part of the Admont Abbey monastery in Admont town in the Styria state of Austria. The Admont library is 70 meters long and 14 meters wide. The beautiful ceiling of the library features seven cupolas. They represent different stages of discovering new informations and divine revelation. The library also consists of a number of impressive sculptures. The sculptures were created by famous Irish sculptor Josef Stammer. The overall design and art in the Admont Abbey library represent the enlightenment. The Admont Abbey library has a collection of 200000 volumes. The 1400 manuscripts from 8th century and 530 incunables are the most valuable items within the collection. The incunables are the books that were written before the 16th century in Europe. 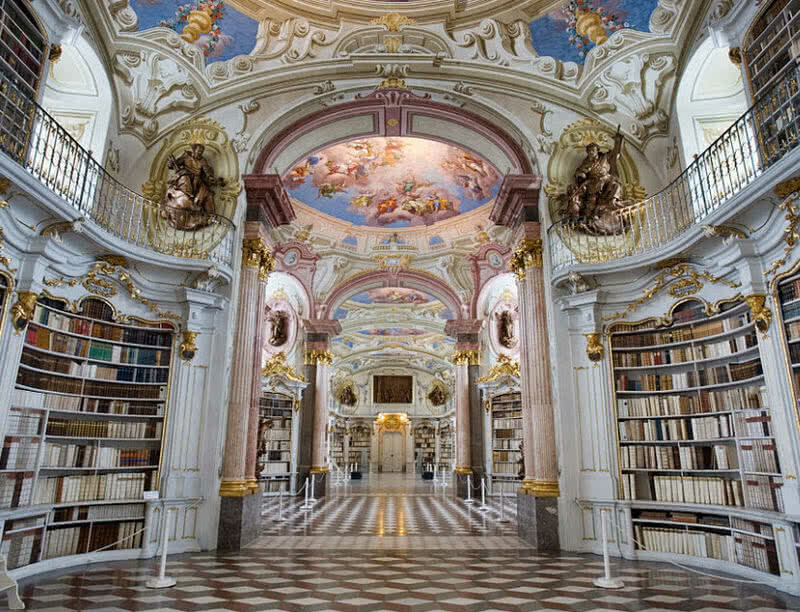 Apart from the invaluable collection the Admont Abbey library is globally popular for its art and architecture. 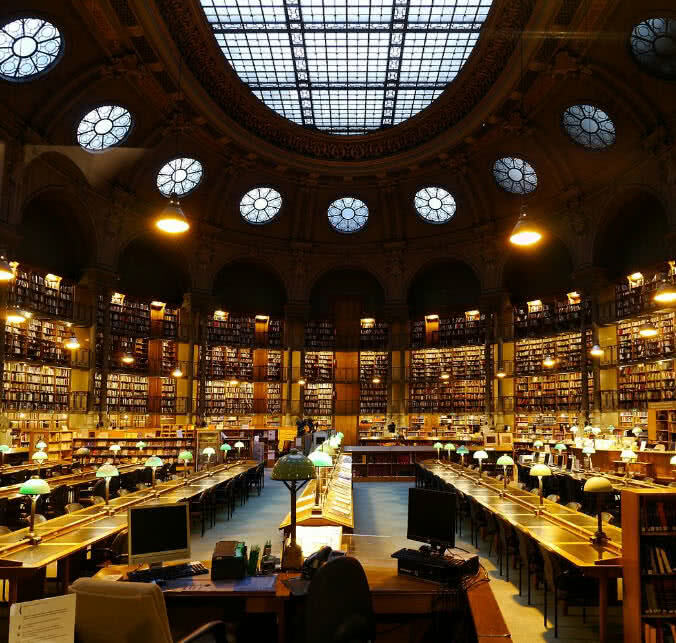 Bibliotheque Nationale de France, the third largest library in Europe known as the National Library of France in English. The library was established in 1461. By replacing the old building the National Library of France was moved to a magnificent new building in 1995. The new library building is known for its architectural design and facilities. The new building of the National Library of France has four 24-story L shaped towers situated at the corners of a large platform. The unique structure resembles the open books. The building also houses a magnificent inner garden. The library have a capacity to seat 1600 readers at a time. There are also private reading room areas that are dedicated for researchers. Glass, steel and wood are main material used for the construction of the library building. The transparent glasses also offer natural interior lighting in the reading rooms of the library. 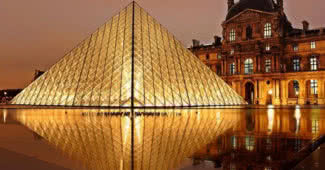 The National Library of France also offers a digital library for online users which named as Gallica. It was established back in 1997. Gallica holds an immense collection of items including 1.6 million documents, 320000 books and hundreds of thousands of images, maps and manuscripts.